Photo of the week #56 – Some of the 1965-1967 VW Beetles on display at Lavenham Press during The Lavenham Vintage Volkswagen Show earlier this year. Photo of the week #54 – Throughout it’s long production run the Volkswagen beetle sedan changed little from year to year with just a few detail enhancements and improvements but, one of the biggest and most noticeable changes was to the size of the windows, the rear in particular. 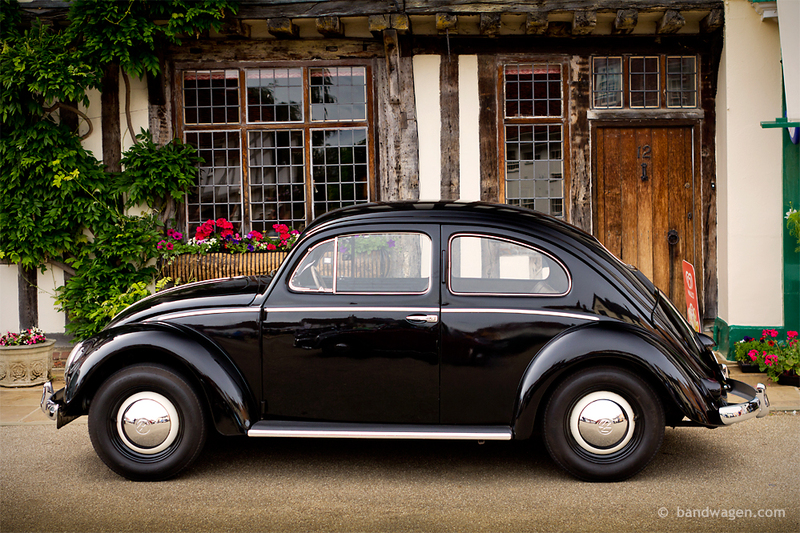 In 1953, with improvements in glass making technology, VW introduced the curved, oval shaped rear window which replaced the previous split-window which was made from two flat pieces of glass. The oval-window body continued until the 1958 model year when the shape of the rear window changed to the more familiar and larger rectangle shape along with the dashboard design which was changed to the layout which continued to the end of production in the 70s. This photo was taken at the Lavenham Vintage VW show where we had no less than 36 oval -window beetles registered from all over Europe. All basically the same car but each one completely different and individual! Photo of the week #43 – The Type 34 ‘Razor Edge’ is a rare Volkswagen. From the 45,505 made (the Razor was curiously never sold in America), only 1252 are known to survive, and are known to suffer badly from rust. So a Type 34 in superb condition is a rare machine indeed. This Ghia, photographed in Lavenham this year, has only had three owners and has covered just 10,948 miles from new! The first owner, Mrs Dixon of Leamington Spa kept the car from new until 1990 when it had covered just 8,589 miles. The second, a Mr Vijay Solanki, owned the car until 2011, covering just 43 miles in his 21 years of ownership. Finally it fell into the hands of well-known Volkswagen collector, Wayne McCarthy who has brought the car up to show-winning standard. 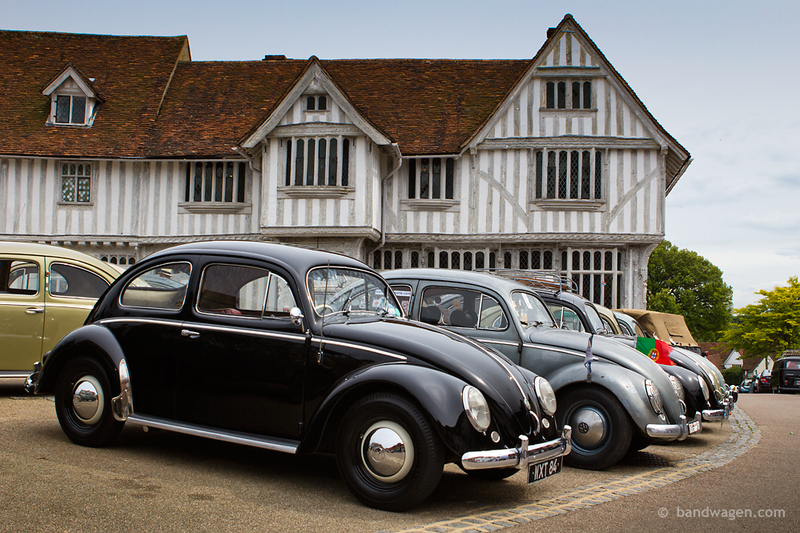 Photo of the week #34 – Reserved for the oval window beetles, the car park in front of The Tudor Guild hall was completely full of 1953-1957 VW Beetles, brought together for the Lavenham Vintage VW Show. Although basically the same cars, it’s amazing how individual each one is! Photo of the week #33 – Dave Mitchell drove his 1953 oval window beetle all the way from Glasgow in Scotland to the Lavenham Vintage Volkswagen Show in Suffolk. This was a trip of around 1,000 miles through some dreadful weather making this one of the furthest driven vehicles at the show! Thanks to Dave and Jean for being so enthusiastic and making the long journey.